In 1992 only 36% of the harvest was utilized, rezulting in a deeply colored wine with a nearly exceptionnal cedary, chocolately, cassis character, medium body, surprsingly concentrated flavors, as well as the classic Lafite aromatic profile. 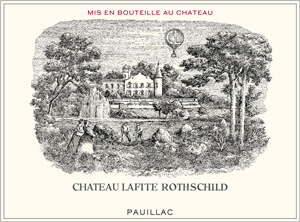 If discounted, readers should take the opportunity to experience Lafite's finesse in a softer, more precocious vintage. The 1992 Lafite should drink well in 2-3 years and should last fo 12-20 more.